Sensory integration is the ability to take in information through our senses (touch, movement, smell, taste, vision and hearing), put it together with prior information, memories, and knowledge stored in the brain, and make a meaningful response. It is a process that is dependent upon the efficient integration of all the sensory experiences mixed with environmental situations and demands and the child’s own personality and reactions. 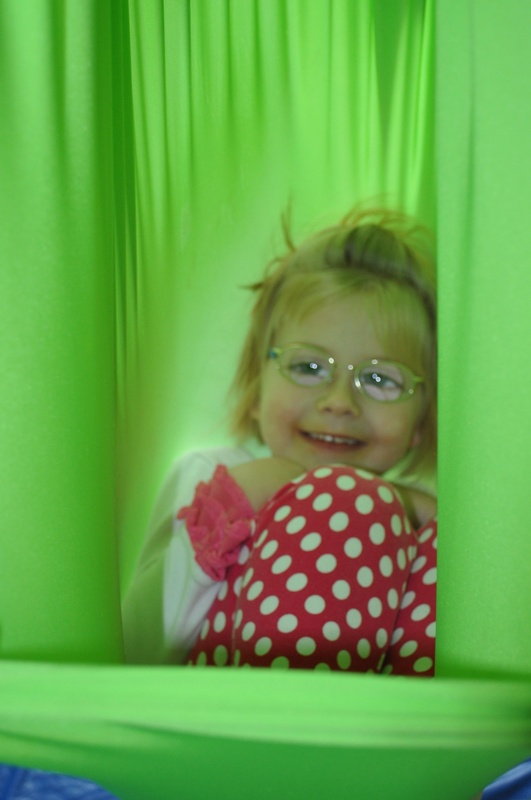 In the normally developing child, sensory integration occurs when the child participates in everyday activities. 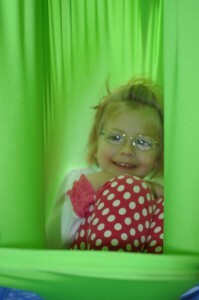 The child’s love for sensory activities fuels an inner drive and motivation to conquer challenges. That drive urges the child to participate actively in experiences that promote sensory integration. Deficits in sensory integration are likely to impact a child’s gross and fine motor skills, self-help skills, eating, and development of higher level skills. 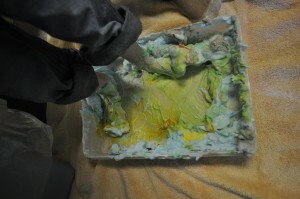 Playing with shaving cream, moon sand, pudding, cool whip, gak and other gooey textures to use with their hand, toys, and other objects. 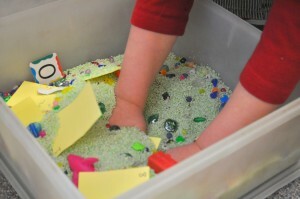 Playing in bins filled with rice, beans, buttons, sand, popcorn kernels etc. Animal walks such as crab, bear, snake, frog jumps etc. Play with food such as cooked pasta, potatoes, condiments, etc. Creating a homemade lava lamp with water, oil and food coloring inside of a clear plastic container.